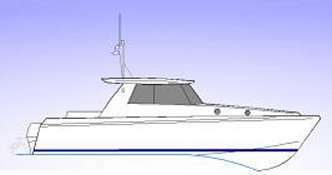 The drawing shows a 37 metre (121 feet) EXPLORER YACHT designed for simple and robust construction in steel and aluminium alloy. Designed for world wide travel, this yacht incorporates many design features for low first cost and low maintenance. With features such as stern doors and platforms, copious deck space for boats and equipment, this design is ideally suited for private or commercial exploration and dive support. 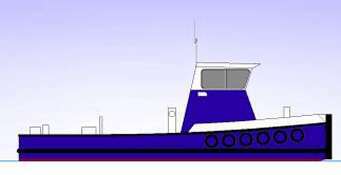 A variety of engines and propulsion systems can be specified dependant on individual requirements. WESTBROOK MARINE PROJECTS will be happy to provide a free consultation and layout drawing to suit your precise requirements.